Well maintained end unit in Indigo Village Plantation. 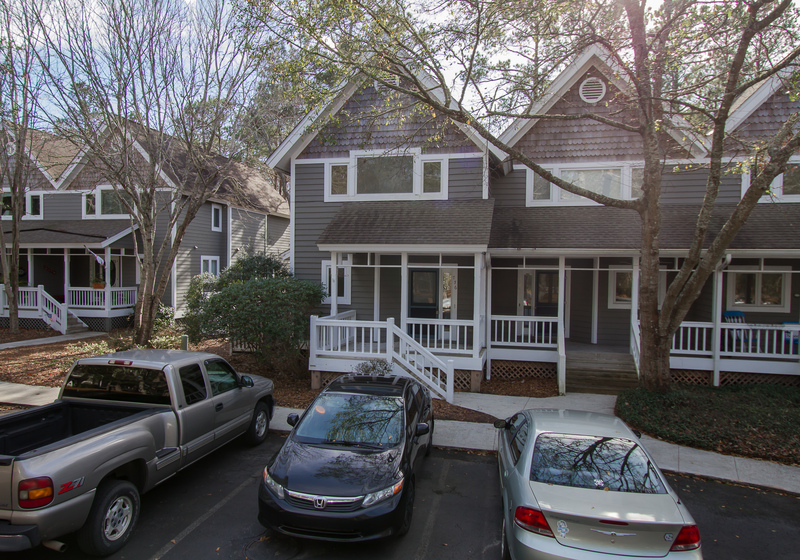 This two bedroom, two and a half bath townhouse features a large common area including kitchen with pantry and breakfast bar, half bath, living room with fireplace, and access to screened porch and open deck across the back. Both bedrooms on 2nd level. Each bedroom offers private bath, walk-in closets, and vaulted ceilings. Laundry closet upstairs as well. Fresh paint and new carpet throughout. Low HOA dues that include all outside maintenance and master insurance. Indigo Plantation is nestled in the heart of Southport, with a community pool, tennis courts, and marina access. Diverse dining, historic attractions, coastal recreation nearby. Please call Nellie Bott for details at 910-599-2853!